Let me begin by reminding you, saree is not a national garment for women in India neither it is any divinely ordained garment and those of us not proficient in wearing it are not ‘ashamed’ of it. This of course has kicked up strong reactions across the country. But most felt offended because your comment was highly chauvinistic and judgmental. However, the bigger truth that has escaped people’s notice is your distortion of facts about India to the world. It is ironical that a reputed dress designer like you be so ignorant about the layers of Indian culture. One has to be either a fool or a liar to try to project that the saree is the only dress for women in India. Both are unforgivable especially if the bearer of these traits is a popular figure commanding people’s attention. The fact that no one in the conference objected to your not only chauvinistic view on women but also your distortion of fact distresses me. You, Mr Mukherjee and the people at Harvard who gave your ‘thunderous applause’ for you remarks require some reeducating about the diversity in India. We have no Indian language, we have Indian languages. We have no culture in India; because we have cultures. Likewise, we have no single Indian dress; we have hundreds of other beautiful and dignified dresses which we Indians wear, depending on which community one belongs to. It is true that for whatever reason, the saree has become more popular and visible than other dresses. Good for it! And good for people like you who make the living out of this garment. However, the popularity and beauty of saree doesn’t give you license to call half of the female population in the country shameful for not knowing how to tie a saree. come from the Boro community. Just so I don’t run a risk of facing another ignorant question of yours, ‘Boro who?’, ours is just one of the many communities in India. My mother lived for 86 years and died never touching a saree. I have five sisters and three sister-in-laws and dozens of cousins – none of them are particularly adept at wearing a saree. We have 29 states in India and women of nearly half of these states don’t wear saree traditionally and therefore are not proficient in wearing the garment. We have in my state Assam itself over a dozen communities who have their own distinct cultural identities and saree comes in the bottom when it comes to choosing an attire to wear. So should all these millions of women in this country be ashamed of not knowing how to wear a saree? 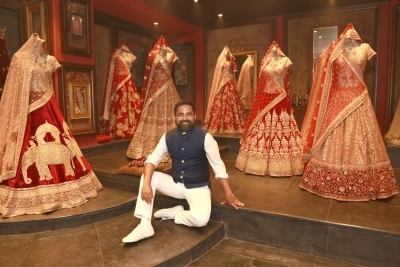 The true shame is on you Mr Sabyasachi Mukherjee for being such an ignoramus, grievously compounding it with your unabashedly chauvinistic and judgmental remarks. Shame indeed!